Redmondpie has been very helpful by putting together a video of all the new features to be found in iOS 6. The demonstration shows both the iPad running iOS 6 and an iPhone running the new operating system. The iPhone is a 4S while the iPad is an iPad 3 (or the new iPad as it’s officially known as). Yesterday, Apple [AAPL] released iOS 6 to the public. The new version builds on previous versions of the operating system. It is compatible with all iPhone models down to the 3GS as well as the latest 2 generations of iPod touch and the iPad 2 and iPad 3. For those running the latest gen iPhone 5 (released tomorrow), this OS makes use of the larger screen and also has all the apps adapted to fill the extra space on the screen. After many months of speculation and leaks, most of which were correct I might add, the iPhone 5 has finally been announced. 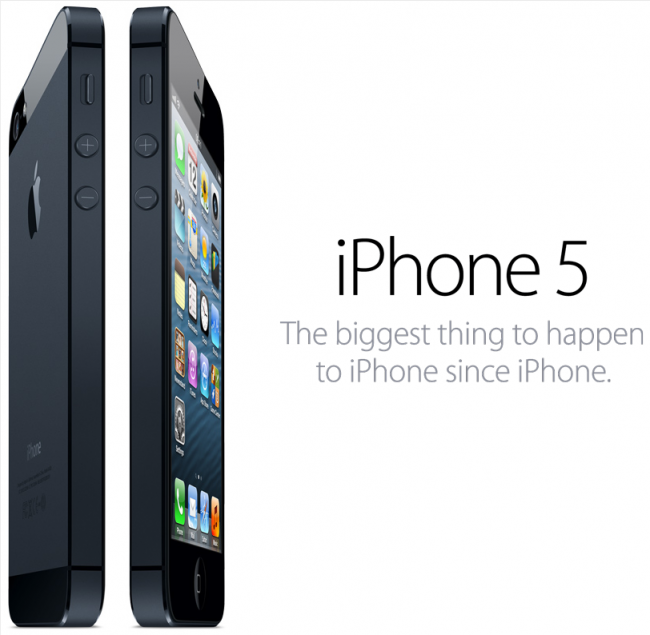 The new smartphone is called the iPhone 5 and brings several new things to the iPhone range. Although the invitation to a press event has a 12 for the date I assume and a number 5 in the shadow, these were put together to mean iPhone 5 announced on September 12. 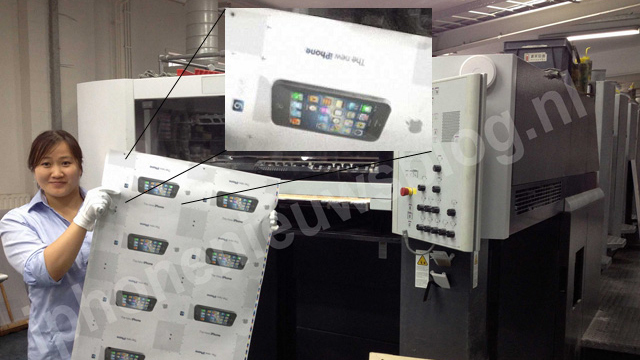 But, a “leaked” picture of what looks to be a packaging printing machine now seems to show that the iPhone might just be referred to as iPhone with using the same naming as the new iPad… ie, “The new iPhone”. The font, text, bolding and upper case letters are all in the right places when compared to the latest gen iPad, so perhaps this is correct. Apple has sent out invites to a press event which will be held on September 12. 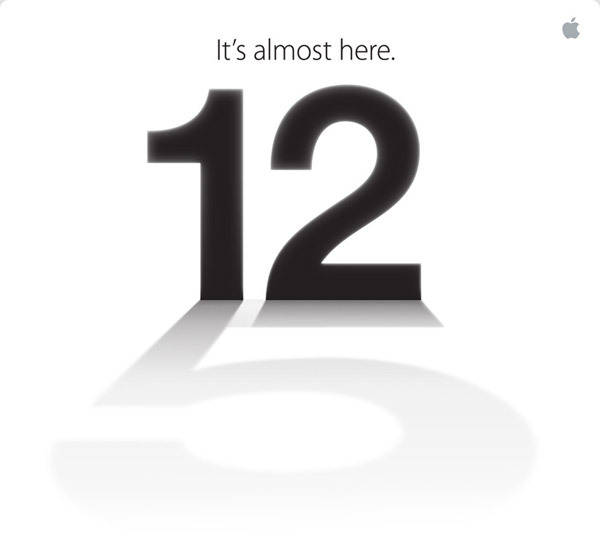 As seen in the image below, the phrase “It’s almost here.” is used along with a 12 although the shadow is a number 5 which strongly hints at Apple calling the new phone, assuming it is a phone that is announced, an iPhone 5. A few moments ago I posted a picture of what someone thinks the iPad mini will look like, should Apple decide to launch it. This post is now about an iPhone 5. The device is a mockup created by a case manufacturer who apparently has the official specs ready for a launch in the next few weeks. The device is not working and is literally just parts cut out to match the dimensions that Apple has provided. Instead of a picture, the Verge managed to spend some time with the case manufacturer although the company behind the mockup didn’t want to be identified, understandably. A few days ago a new smartphone called the HTC Accord was leaked along with a few specs. 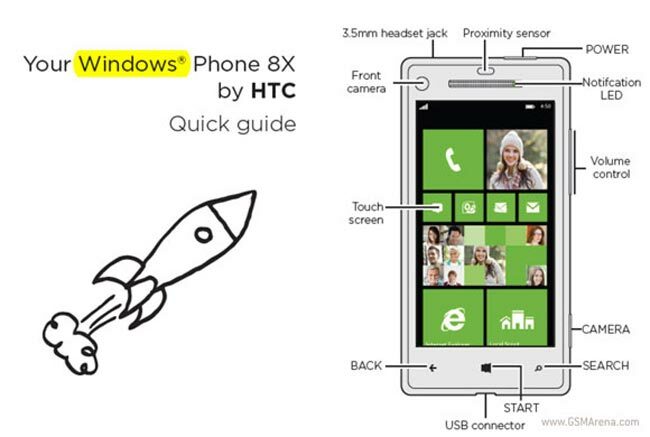 It appears that this device will now be known as the HTC 8X when it launches. 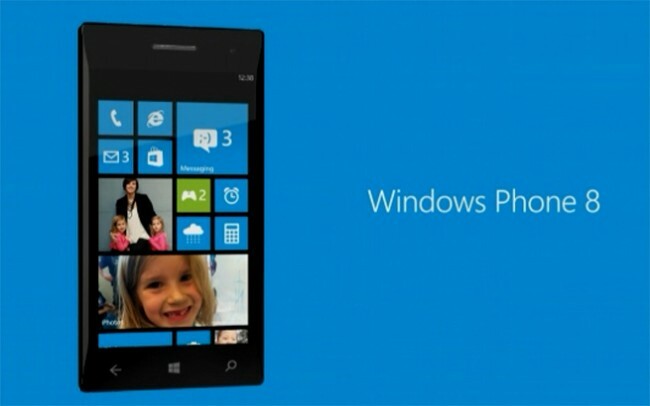 From what I can see on the picture below, it will be running Windows Phone 8 as the operating system. Dropbox is giving new Galaxy Note II or Galaxy Camera owners 50GB of free storage for two years. To activate it, you will simply need to log on to Dropbox from your new Samsung device (when they launch). Although not official details, ZDNet has been told by an anonymous source at Microsoft that the Windows Phone 8 release date will be October 29. This date is a few days after the launch of Windows 8 and when Windows Phone 8 arrives a few days later although this is specifically talking about the announcement rather than handset availability. Samsung has revealed the first Windows 8 powered smartphone at IFA. 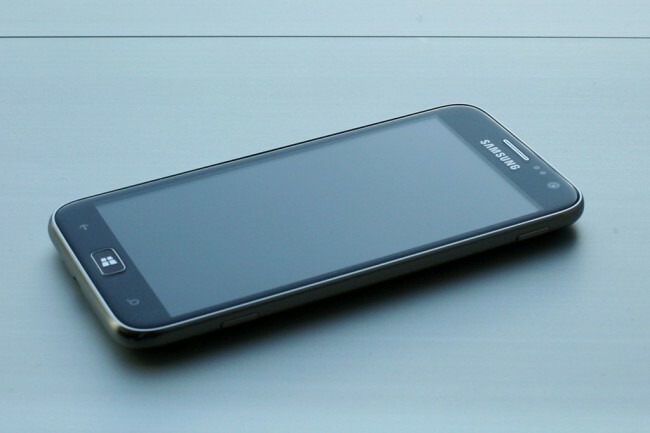 The new smartphone is called the Samsung ATIV S. Specs have also been revealed which show the device is just 8.7mm thin. It has a brushed aluminium chassis along with a 4.8 inch HD Super AMOLED display. The glass on the front is provided by Corning and is the new Gorilla Glass 2 which is thinner but stronger than the previous generation of glass. 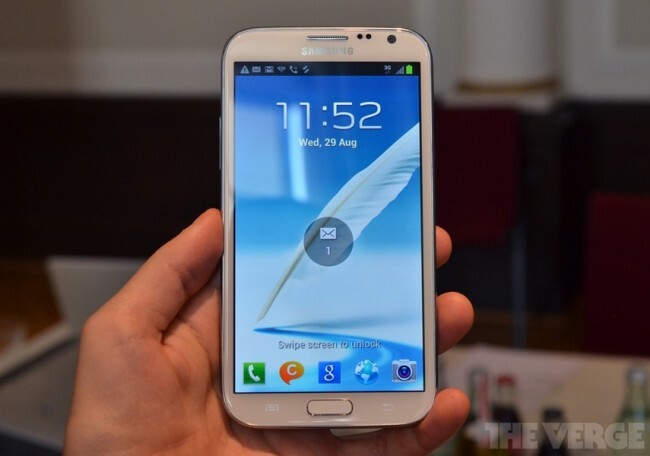 Samsung have announced the launch of Galaxy Note II at IFA. The new smartphone/tablet is the next generation of the original Note launched last year. The new model has a larger 5.5 inch screen and runs the latest Android operating system which is Jelly Bean. Other specs inside include a 1.6GHz quad-core Exynos processor. A few days ago an picture of a front panel on an iPhone 5 went around the web. This particular image had a picture of a square device at the top right (when looking at the panel from the back). Matching it up to an earlier patent that Apple filed as well as some speculation based on Passbook being added to iOS 6, many people, including me, mentioned that NFC could be coming to the iPhone 5. Well, AnandTech has commented that NFC is unlikely. The reason for this is how the iPhone 5 has been built. If all the leaked parts are official then the back of the iPhone will have a metal and glass back. The glass portions at the back are classed as RF windows which can let radio waves through. But, as they are quite small it is unlikely that NFC built in to this configuration will work correctly.